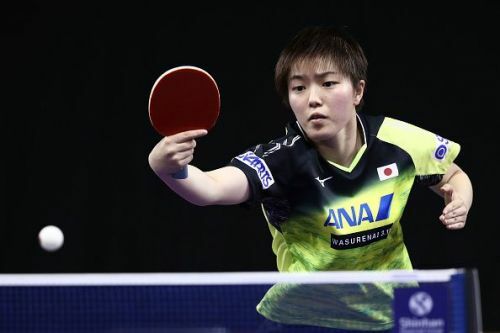 In the girl's division, World number nine Japanese Miu Hirano is the top seed. She walks into these games with a rich wealth of experience with wins over Ding Ning, Zhu Yuling and Chen Meng to win the 2017 Asian Championship. The second seed is Yingsha Sun of China ranked 37 in the world. Puerto Rico's Adriana Diaz is the fourth seed, Bruna Takahashi, from Brazil, is the seventh seed, would also pose a challenge for the medals along with sixth-seeded Indian Archana Girish Kamath. 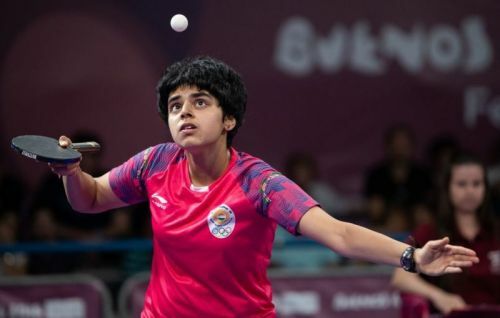 India’s Archana won the first game against Rui of Singapore in a comfortable fashion to continue her supremacy in their head to head records. Xuan bounced back to take the second games. Archana asserted her superiority over her Singapore rival to claim the next three games in succession to win the match. Archana was on song against the Egyptian Alhhodaby demolishing her in straight games. The only semblance of a fight was in the second game where the Indian got stretched to twelve points in an otherwise feeble encounter. Archana overcame Aleksandra Vovk of Slovenia in her group stage encounter. After losing a close first game, Archana came back strongly in the second to clinch it 11-3. She never looked back as she rode on her positive intent to wind up the match in four straight games. Archana had to come up with her best show against Ka Yee Lee of Hong Kong, who holds a superior 1-3 advantage in head to heads. She won the opening two games which stretched to 14 points. But Lee replied back with vengeance to pocket the next two games. Archana who claimed 30 points on her serve used it to great effect to reel of the next two games to emerge victoriously. In a tough quarter-final, the Indian who was laid back in the opening game pounced back at crucial junctures to clinch the first game. Jing hit back claiming the second and third games. The Indian, however, thrashed Jing in the fourth game to win it by a margin of 11-3. Unperturbed by the previous game, Jing went on to win the fifth, but she again went on to lose a tight sixth game. The Indian’s confidence was sky high as she went on to win the decider to enter the semi-finals. Archana Girish Kamath played too safe and secure throughout the contest and never really explored outside her comfort zone, as the Chinese ran ahead to take a 3-0 lead. Sun Yingsha’s unforced errors in the fourth game saw the Indian clinching it by dropping just a single point. That was the only blemish from the Chinese who sailed through to win the fifth game and the match to enter the finals. Archana Girish Kamath exceeded expectations became the first player from India to reach the semi-final stage at the Youth Olympic Games. Miu Hirano made quick work of the Romanian as she mounted pressure from the start to clinch the match in straight games. 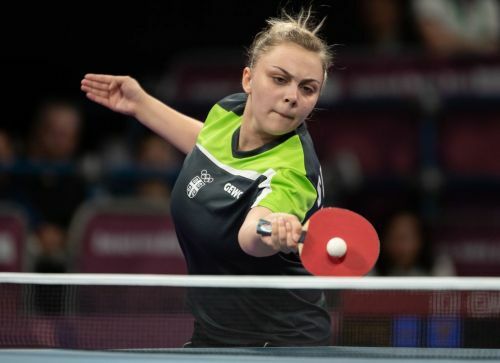 Andreea Dragoman became the first European to reach a Women’s Singles semi-final at the Youth Olympics. Andreea Dragoman was pumped after her victory in the second game as she grew more confident and sounded positive in the rallies dominating the next two games to force 3-1 advantage over the Indian. With a sound service technique coupled with excellent control, Archana secured the first game in the Bronze medal encounter. The Indian built a dominant 7-3 lead in the second game but grew passive at the end prompting a timeout from the Indian coach; Dragoman saved two game points to seize the initiative and clinch the second game. Tied nine-all in a tense fifth game Andreea Dragoman thanked her lucky stars, as a backhand topspin grazed the edge of the table followed by a service error from the Indian, handed the Bronze to the Romanian. Miu Hirano established the lead in the fourth game, but Sun Yingsha recovered to level at 8-all. She won the game after taking a timeout to claim the fourth. With momentum on her side, Sun Yingsha accelerated to a 10-6 score. With four match points in hand, she converted her first to confirm the Gold. A fast opening game went in favor of Sun Yingsha by the very narrowest of margins; Both players played skillfully causing problems to each other. An attacking Miu Hirano pocketed the second game. In the third game, a composed Sun Yingsha held two game points to succeed with her second attempt. The 32nd seed, DPR Korea’s Pyon Song Gyong, defeated Croatia’s Andrea Pavlovic, the no.15 seed, in four straight games (11-5, 11-7, 11-3, 11-6). DPR Korea’s Pyon Song Gyong continued her good form to overcome Nadezhda Bogdanova of Belarus, the no.20 seed (11-4, 11-9, 11-6, 11-9). Slovenia’s Alexandra Vovk. The no.26 seed accounted for Egypt’s Marwa Alhodaby, the no.12 seed (9-11, 14-12, 11-5, 11-3, 7-11, 11-9). Romania’s Andreea Dragoman seeded 13th, caused the biggest upset in the Women’s Singles event defeating Chinese Taipei’s Su Pei-Ling, the no.3 seed (11-9, 11-6, 11-8, 11-9). Russia’s Maria Tailakova, the no.24 seed, caused a major upset, overcoming Hong Kong’s Lee Ka Yee, the no.8 seed (11-8, 11-8, 11-6, 11-6). Amy Wang of the United States, the no.9 seed, accounted for Serbia’s Sabina Surjan, the no.5 seed (15-13, 11-9, 11-9, 11-6). Ning Jing, the no.18 seed, beat Romania’s Andreea Dragoman, the no.13 seed, in six games (7-11, 11-9, 9-11, 11-9, 11-8, 11-3). Ning Jing, the no.18 seed, beat Puerto Rico’s Adriana Diaz, the no.4 seed (7-11, 11-5, 11-6, 11-4, 11-8).